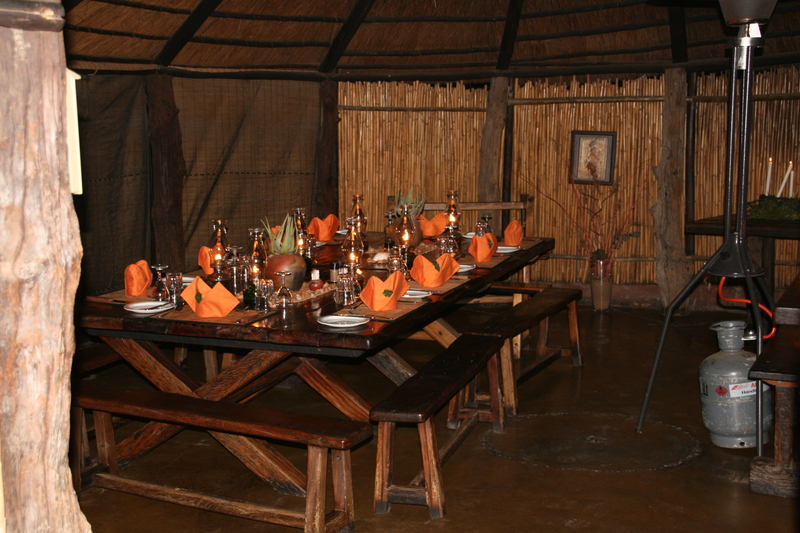 When I made reservations to stay at Umlani Bush Camp in South Africa, I told them my daughter had celiac disease and was on a gluten-free diet. “Not a problem,” I was told. “We’ve had several guests who eat gluten free.” So I relaxed a bit, knowing that Umlani was one of our last stops at the end of a 4-week trip. Arriving at Umlani just in time for lunch, I was apprehensive, wondering what she would eat for the next 3 days. The light lunch was anything but: butternut squash and sweet potato soup with fresh bread, salad, pasta with sundried tomatoes, chicken and artichoke hearts in a creamy sauce, and cheese and chutney for dessert. The soup was gluten free but not the bread and not the pasta. Then the owner appeared with a small dish of gluten-free pasta made just for her. Before the animal game drives, while everyone congregated in the boma for wheat rusks and coffee, my daughter drank the hot chocolate (after verifying that it was gluten free) and skipped the rusks or brought her own, bought in a supermarket near Kruger National Park. At breakfast, she ate eggs, tomato, bacon, and fresh fruit and gluten-free muffins baked especially for her. When lunch included spring rolls for the rest of us, the chef cooked the spring roll ingredients in eggs and served it without the skin. When lunch included lasagna, a gluten-free potato version was offered instead. Sundowners (a stop for a cocktail in the bush as the sun was setting) included potato chips and biltong (which she avoided, just in case) and Appletisers or Grapetisers for the kids. Dinners included pork on skewers with pineapple and apricots, vegetables and potatoes and salad; impala stew with veggies, polenta and salad, strawberries and cream for dessert; and chicken (made without bread crumbs for the gluten-free eaters), risotto, veggies and salad. Eating gluten free was easy and delicious at Umlani. At no time did my daughter feel deprived. At no time did she feel nauseous or sick. Instead, she ate well like the rest of us, and maybe even gained a little weight. ← Where Is the Man on the Moon?